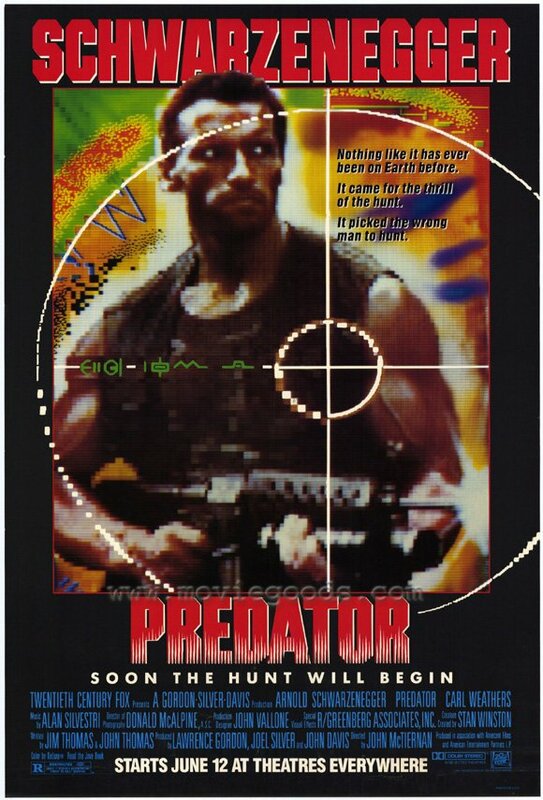 The Empire Never Ended: Predator - M134 when you absolutely positively have to kill every mutha fucker in the jungle, accept no substitute. Predator - M134 when you absolutely positively have to kill every mutha fucker in the jungle, accept no substitute. Arnie sets off on a Jungle hunt with Jessie Ventura and Apollo Creed and some other mates to hunt down the most quintessential badass alien that has ever been created. Couple this with some awesome 80's scripted dialogue, a thunderous score from Silvestri and the meanest (hand)gun ever shown on screen in and you get one of the greatest sci-fi actioners created. Trivia - Arnold is displaying enlightenment at the fact that he can't be seen because he is covered in clay. Man that guy can act. Pure class. I remember thinking that stuffy Film 1987 presenter Barry Norman would trash this but he appropriately gave it a glowing review. And I agree, the SILVESTRI score is one of the best ever. I wrote this in work and could for the life of me think of the composer, so I put in Goldsmith to amend later. As I do with swear words.